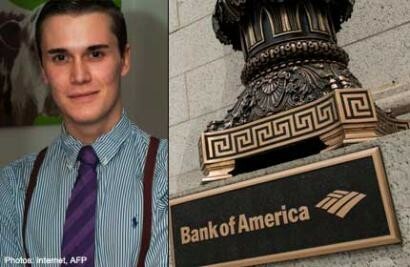 A 21-year-old intern at the Bank of America in London died last week, sparking online speculation that he had been overworked prior to his death. Moritz Erhadt, a German, was found dead in his apartment shower and is believed to have suffered a seizure, Daily Mail reported. It is also believed that the investment banking intern had worked through the night till 6am for 3 nights in a row. In another report by Huffington Post, a Bank of America spokesman described Erhadtz as "an outstanding student." "He was popular amongst his peers and was a highly diligent intern at our company with a promising future," the spokesman was reported as saying. While rumours about the cause of his death are rife, the bank said that the case is still being investigated and the cause has not yet been ascertained. In May, a Chinese employee at advertising firm Ogilvy & Mather's Shanghai office suffered a heart attack. It was reported that the employee, Li Yuan, had been working late nights for more a month prior to his death. In a statement to the public, Ogilvy China denied that Li had died due to overwork. He had been on sick leave for a week and the day he collapsed in office was the first day he had returned to work, the firm said. In Japan, death caused by overwork or 'karoshi' is recognised legally as a cause of death. The main causes of karoshi in Japan are heart attack and stroke caused by stress. The recognition of karoshi has brought about many changes to Japan's corporate culture, with many companies now making more effort to ensure work-life balance of its employees. Despite the improvements in welfare, it remains difficult to prove that employees are working too much as unpaid overtime work is still not recorded or reported in many firms. The Japanese government provides an avenue for families of people who die from work exhaustion to apply for compensation.